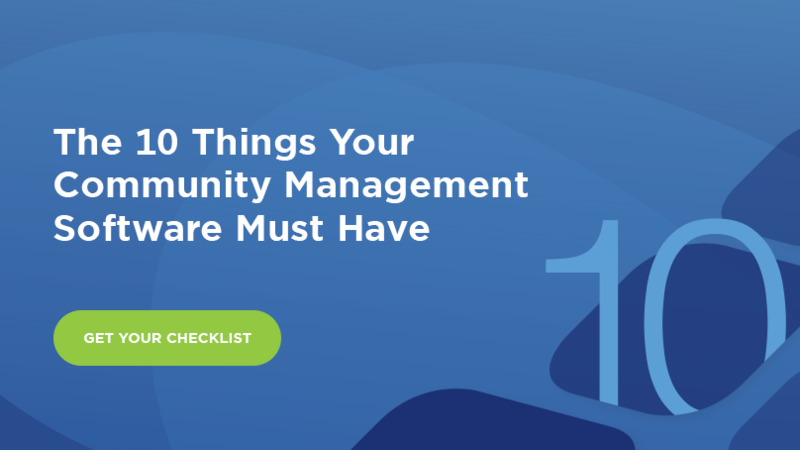 Selecting a new community management software provider for your property management company is a big decision. Software is a significant investment, and it’s critical that you select the right platform for the specific needs of your business. So how do you go about selecting the right tool? First you must do your research to understand more about the available providers, what they offer, and what their customers are saying about them. Next, you should schedule demos with each provider to learn more about the tool, how easy it is to use, how much it costs, and understand if it truly offers everything your business needs. Once you’ve narrowed down your search to one or two providers, we highly recommend that you ask to visit the company in person. At FRONTSTEPS, we encourage prospective customers to stop by our headquarters in Denver to meet our team, experience our culture, and get more insight into where we’re headed. Here are the top four reasons you should schedule a visit to the FRONTSTEPS office. You can only learn so much about a company through online research and phone calls. Sure, your account rep can assure over the phone you that they have a fully-staffed support team and in-house development team, but seeing is believing. We invite prospective customers to visit our office so they can see our entire team hard at work in person. You can meet members of our leadership team, who will happily give you a tour of the office. You can meet our support specialists who will be helping you with future requests. You can get to know our development team who is working hard on feature enhancements to make our software even better than it is today. More importantly, we believe an office space tells a lot about a company. We’re located on the 14th floor of a beautiful downtown high-rise. With 360 views of the city, mountains, and front range, we’ve created an inspiring, professional workplace that people are excited to come into every day. We’ve made a significant investment in our space to help us attract the best talent in the city. Most of all, you can rest assured you’re selecting a professional business that has the team and resources in place to properly serve you for years to come. We believe face-to-face introductions are the best way to build trusting, long lasting relationships with our customers. By meeting our team members in person, we are no longer a faceless corporation. You will get to know the people behind the business and understand that each and every person here is working hard to make your business successful. Plus, getting to know the team makes it much easier to call us up when you’re in need of support or business advice. It’s our goal is to be viewed as a business partner rather than simply a software provider. By chatting with individuals on different teams, you’ll get a better idea about how the company is doing and where the company is going. Seeing that you’ll likely be signing a contract, it’s important that you select a company that will be around for the long term and will continue innovating and enhancing the software, ensuring it will be even better than it is today a year from now. Ask different team members where they see the company in two years, and what their team is doing to make continuous improvements to both the overall product and customer support. As your search is winding down, you’ll deserve a vacation! We may be a bit biased, but Denver is an excellent getaway. From world class dining options and an endless number of craft breweries, to an array of professional sporting events and the best outdoor activities in the country, Denver has endless activities for both city dwellers and outdoor enthusiasts. We’re located in the heart of downtown, so our team will be able to give you a list of incredible restaurants within walking distance, as well as our favorite hiking trails a short drive away. If you’re thinking about selecting FRONTSTEPS for your community management and security needs, we’d love to have you visit our office. If you’re interested in stopping by, please email us at community@frontsteps.com and a member of our team will be in touch. We can’t wait to meet you in person! Still in the process of researching software providers? Download our helpful checklist to guide your research.